LOS ANGELES -- The NAACP says Donald Sterling will not be receiving its lifetime achievement award from its Los Angeles branch after the Clippers owner allegedly made racially charged comments in a recorded conversation. Leon Jenkins, president of the LA NAACP, said at a news conference Monday that donations made by Sterling will be returned. He wouldn't say how much money was involved but called it an "insignificant amount." Bill Rhoden on Donald Sterling controversy: "This is a moral issue for fans"
Sterling had been slated to receive the honor on May 15 as part of the 100th anniversary celebration of the group's Los Angeles chapter. Sterling's purported comments urging a woman to not bring black people to his team's games have overshadowed the NBA's opening playoff round. Meanwhile, used car dealership chain CarMax and airline Virgin America said Monday that they are ending their sponsorship of the Clippers. A third sponsor, insurer State Farm, said it "will be taking a pause in our relationship with the organization." 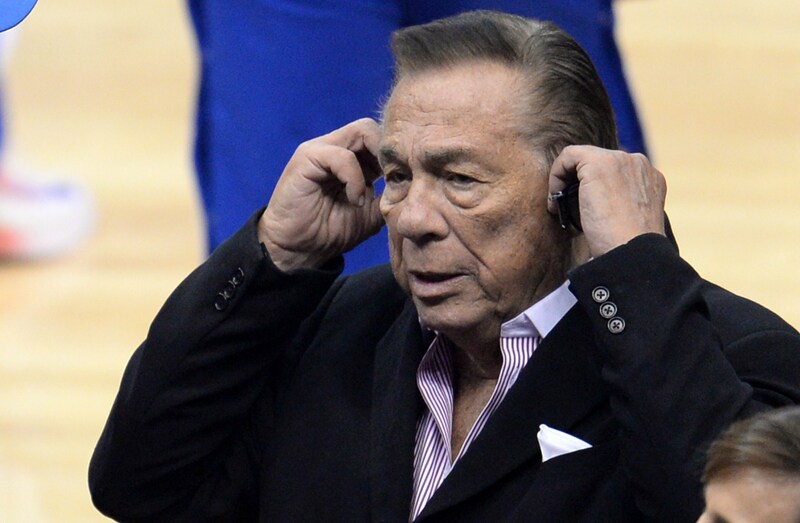 The NBA said it would make an announcement about its investigation involving Sterling on Tuesday. Kevin Johnson on Donald Sterling: "No place in NBA league for these kinds of comments"
"This situation is a massive distraction for the league right now," said Sacramento Mayor Kevin Johnson, the former NBA All-Star who is serving as an adviser to the National Basketball Players Association while the Sterling matter plays out. "It must be addressed immediately." NBA commissioner Adam Silver's first priority is verifying Sterling's voice is on the recording. From there, Silver's next move remains unclear. He works for the owners - and so far that group seems to have no sympathy for Sterling's latest controversy. Among those who have spoken out publicly to condemn the alleged Sterling remarks: Washington's Ted Leonsis, Miami's Micky Arison and perhaps most notably, Charlotte's Michael Jordan, who won six NBA titles as a player.